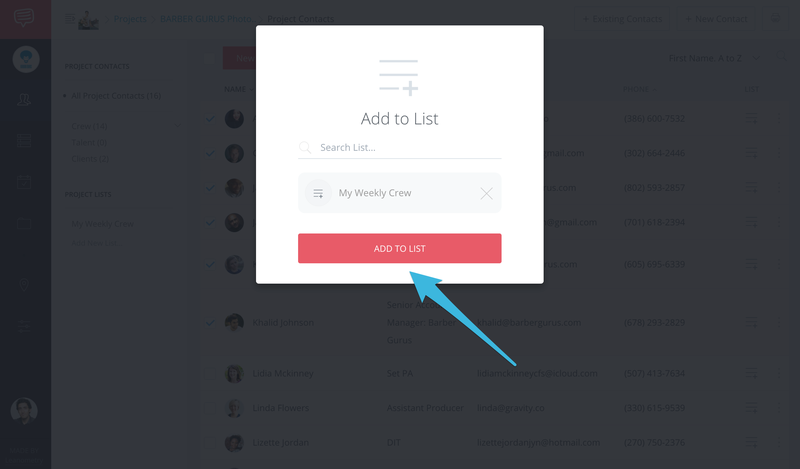 Learn how to make custom Lists in All Contacts or Project Lists in Project Contacts. Are you looking to create an actor and crew database for your productions? 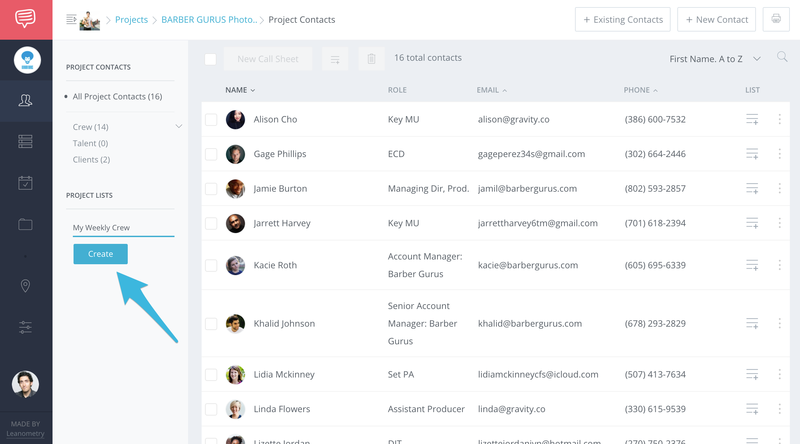 StudioBinder not only automatically sorts your Contact's by Talent, Client, Crew, and Extra, it also allows you to make your own custom Contact List. You can follow these steps in Project Contact or All Contacts. On the Contacts page, click Add New List and enter a name. Tick the checkboxes next to a selected Contact, click the Add to List button, and select the newly created List. Now that your Contacts have been added to your Contact List, you can easily reorder them by clicking and holding the dragger icon next to the Contact. Click, hold and drag up or down to create a custom order.